Basements are one of the most troublesome rooms in a home to try to find the right flooring option. The flooring in a basement has to deal with general wear and tear, but it also has to withstand the moisture-prone conditions in these underground parts of the house. Many people choose luxury vinyl tiles or luxury vinyl planks for basements. 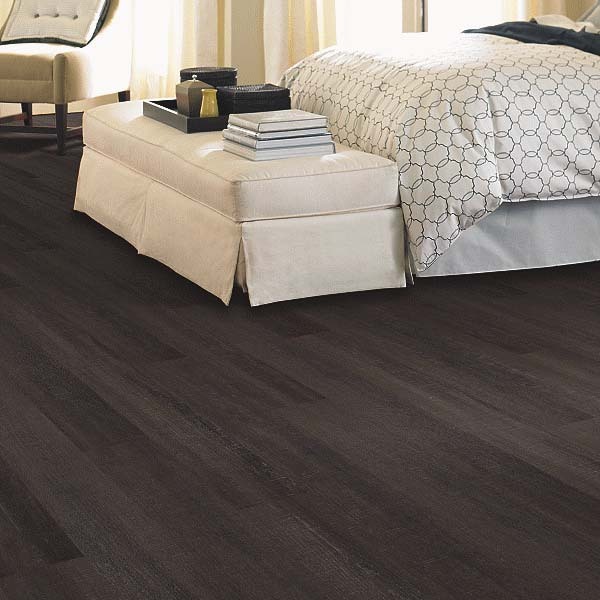 Luxury vinyl flooring adds comfort and warmth underfoot, while also providing durability and realistic visuals. Mohawk’s SolidTech LVT is a great option for basements. This luxury vinyl flooring from Mohawk is 100% water-proof, which means that you will not have to worry about water messing up the flooring. The connection between each plank traps water and other liquids on the surface so you can just wipe them away instead of them seeping into the flooring. The SolidTech LVT features a rigid core, which provides enhanced durability and resistance to denting. The rigid core also prevents imperfections from the subfloor from showing through to the flooring surface. In addition, this product is scuff and scratch resistant, so it is a great choice for homes with kids and pets. Mohawk’s SolidTech LVT has high resolution designs and realistic textures so you can create any kind of style in the basement. Also, you can use this rigid core luxury vinyl tile in any room of the house because it is temperature resistant as well. Bathrooms, kitchens, and laundry rooms are also some great rooms where this product can be used. Be sure to check out the SolidTech LVT collection from Mohawk. Recently Mohawk announced that the company released its new luxury vinyl tile flooring called SolidTech. SolidTech luxury vinyl tile allows customers to have elegant style, durability, and cleanability in one easy-to-install product.The fashion-forward color options, textures, wider planks, and low-frequency pattern repetition give SolidTech a realistic hard surface visual. 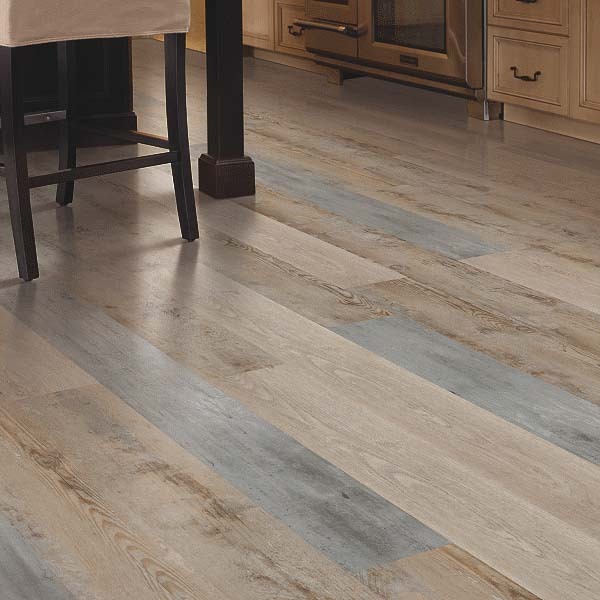 You can install Mohawk’s SolidTech luxury vinyl tile in any room, even a kitchen or a mudroom. SolidTech can be installed at any angle because of Mohawk’s Uniclic MultiFit technology. Uniclic’s locking system creates an impenetrable lock between planks that makes SolidTech lvt waterproof, odor-free, and easy to clean. These floors are great for active homes with kids and pets. SolidTech planks also resist scratches, scuffs, and indentation. The luxury vinyl tile also maintains dimensional stability under heat and extreme temperature change. 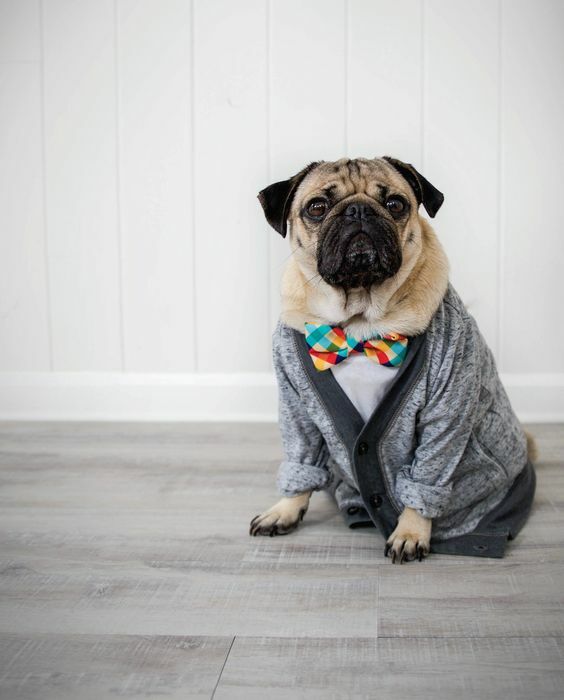 To boost the excitement about SolidTech, Mohawk also announced it is teaming up with social media sensation Doug the Pug. Doug is now the face of SolidTech, illustrating how SolidTech’s technological innovations can handle the everyday challenges of active pets with ease and superior performance. Click here to see our selection of Mohawk SolidTech WPC luxury vinyl tile. 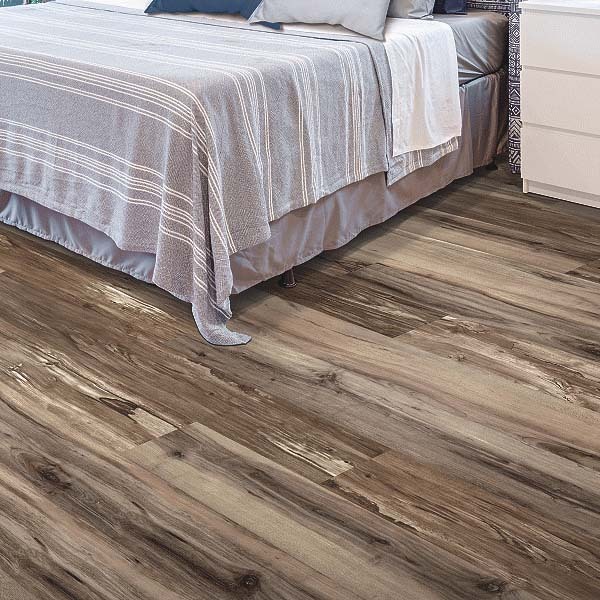 Click here to see our selection of Mohawk luxury vinyl tile.